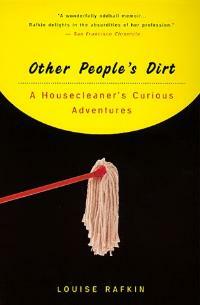 Here's a book about housecleaning that perhaps isn't really fiction, but, like David Sedaris's work which also uses housecleaning as subject matter, we've included it because your need to know is always more important than our need to categorize! Another client was an agent summering in a million-dollar beach house with his standard poodle, who often joined him in his lukewarm hot tub. I took names from his Rolodex. I called Joni Mitchell at her Malibu home and Nastassja Kinski in Rome. I left messages. I asked Joni to call my best friend and sing her happy birthday. She never called.